Do you have that coworker(s) that always have your back? That work wife or husband or work mom that you always get along with and helps you maneuver the work stress? This is a great time to appreciate their support. 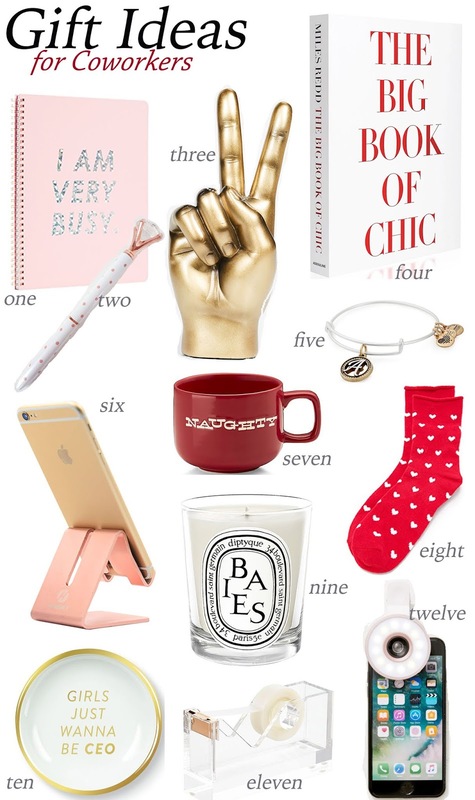 I have rounded up some fun gift ideas for different types of coworker. Having a 9-to-5 job outside of blogging, I often search for sweet gifts for my coworkers whom I spend 8-10 hours day with. These people make my job environment fun and lively. When shopping for holiday gifts for my coworkers I love to get pieces that are fun, funny and thoughtful. Gifts that can also be used in and out of the work environment is considered. It is important to make sure each gifts are individualized. these are so cute! I love that brass peace sign! I love all these gifts. Love four, six, ten, and eleven. cute and very affordable. Question: Which app did you use to create the mood board? @So Modishly Chic: I use Photoshop Adobe software for my collage. They're great gifts. I'm sure the friends who receive them will be amazed.